A full suite of tools & resources designed to help you finally get your life together. Master your mind, your time, & your space. As a mom, you're usually the go-to person for everyone in your house. "Mom, momma, mommyyyyy..." By the end of the day you feel like you have nothing left to give and all you want to do is crash into bed and hide under the covers until everyone is off to college. We've heard it said a thousand times, "We all get the same 24 hours in a day." But for whatever reason, your 24 hours seems to disappear faster than an ice cube in the desert sand. Clearly, there's a time-thief running around. Because you're the go-to person in your family, you are responsible for balancing all the things! Groceries, cleaning, carpool, sports, school activities, luncheons.... oh my! You spend all day bouncing back and forth putting out one fire after another. There's no control, only chaos. I know exactly how you feel because I've been there too. But I'm living proof that you don't have to stay there. Over the years, I've discovered some amazing strategies for moms, just like you and me, to get organized, get productive, and get stuff done -- without feeling stressed & overwhelmed. In this search for peaceful productivity, I created systems and tools to help me get there and stay there. I want to share them with you. 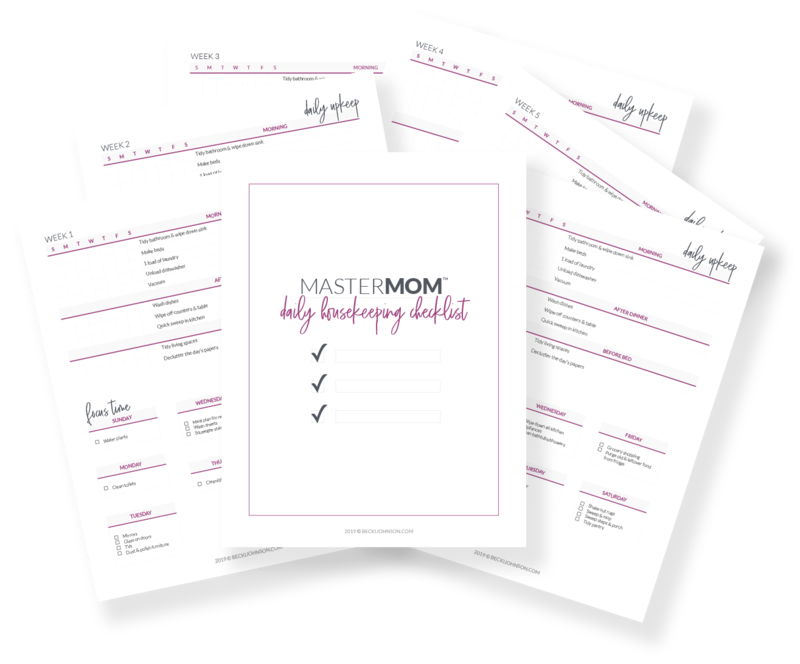 Here are just a few of the tools that you will have immediate access to within the ultimate masterMom bundle. In the Overcoming Overwhelm Course, you will learn how to take back the power of your mind, be ready for whatever obstacles you face in life, and even how to thrive when things aren't going your way. MODULE 1 | WHO’S IN CHARGE? Lesson 2 | Are You Mature in Your Thinking? Identify & understand external obstacles so you can learn to maneuver through the barriers of life. Identify & understand the internal obstacles in your life so you can change the things you have the power to change — and transform the results you see. Discover several different strategies that can help you overcome the many different obstacles you are sure to face in life — both internal & external. Learn the first step toward dealing with disappointing circumstances. Understand the beauty of how God can use your disappointment to deliver to you the greater good. Discover the steps you can take to take forward action even through the disappointment. In the Time Mastery Course, you will take a hard and honest look at your current time situation, discover where and how to use every minute to its fullest potential, and create a plan for maximizing your productivity while minimizing your stress. Lesson 1 | Where Am I? Understand the importance of being honest with yourself & knowing where you are. Lesson 2 | What Is Here? Look at each area of your life with an external perspective. Lesson 3 | How Am I Really Doing? Get a visual understanding of your overall life situation. Lesson 4 | What Am I Thinking? Discover the connection between your thoughts and the results you see in your life. Discover the difference between what needs taken care of now vs what you feel like you should be doing. Learn how to stop wasting time so you have more of it to put toward the things that matter the most. 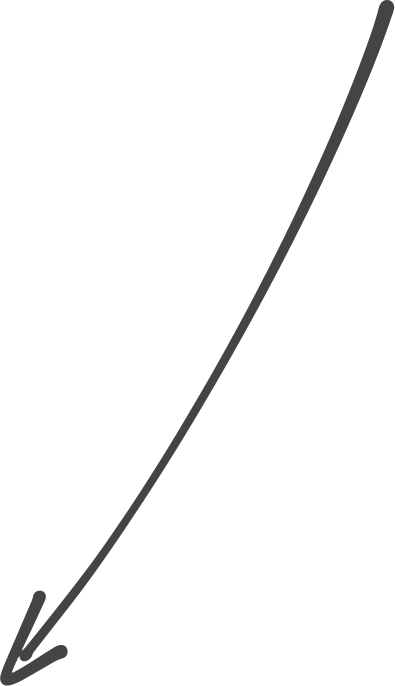 Lesson 4 | Where Is Your Time Really Going? Pull back the curtains and shine a light on your time. Discover the leaks so you can plug them once and for all. Lesson 1 | ​​What Is Balance? ​Balance isn’t all about your time - it’s your energy, your emotions, and your spiritual health​. ​Discover real ways that you can implement today to create better balance in your life. Boundaries exist so that you know what is and isn’t acceptable in your life. Use time blocking to help understand what you need to get done during your days and weeks in order to have a well-ordered, balanced life. In the Get Organized Course, you will learn the exact steps you need to take to transform your home from cluttered chaos to an organized and simplified space of peace. ​Getting organized does not need to take up your entire life. Learn how much time you really need to commit to more forward effectively. Discover the easy system to use in every room of your home so you can stay focused on one area at a time. Learn this revolutionary method for determining what to keep and what to toss as your simplify your spaces. A list of basic supplies you will need as you dive in and get your home clean. 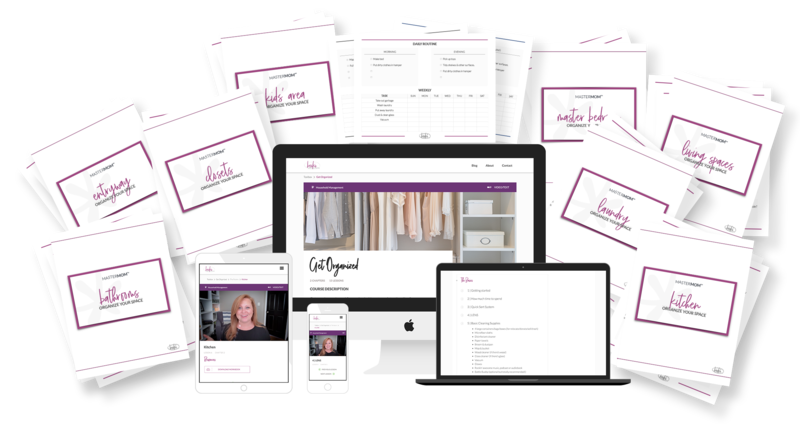 When you purchase the MasterMom Bundle, you also get instant access to additional tools to help you create the life you've been dreaming of. If you've been looking for the perfect planner, you can go ahead and stop now. You've found it. Seriously, you are going to love this thing. It has it all! From scheduling your day-to-day life, to keeping track of your tasks, to meal planning, to developing healthy habits, to targeting the areas of your life you want to improve... and so.much.more! 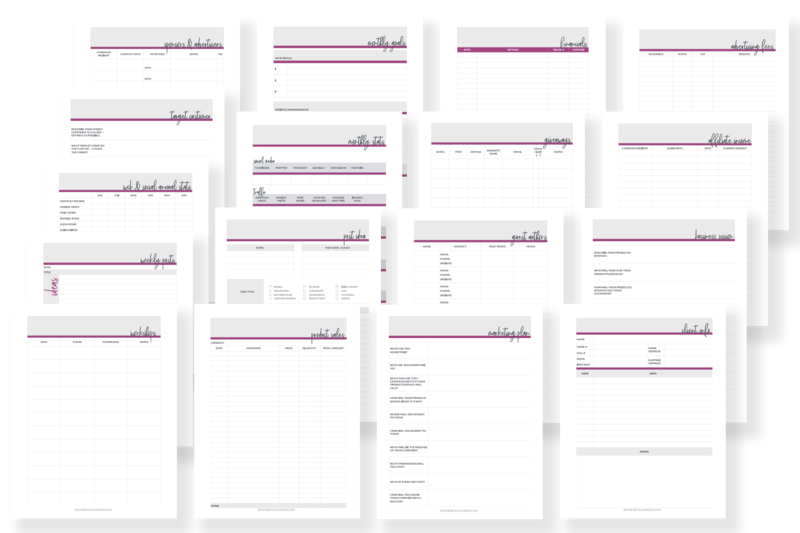 Take your home business to the next level with these amazing tools & templates. These are individual files, so you can only print what you need. 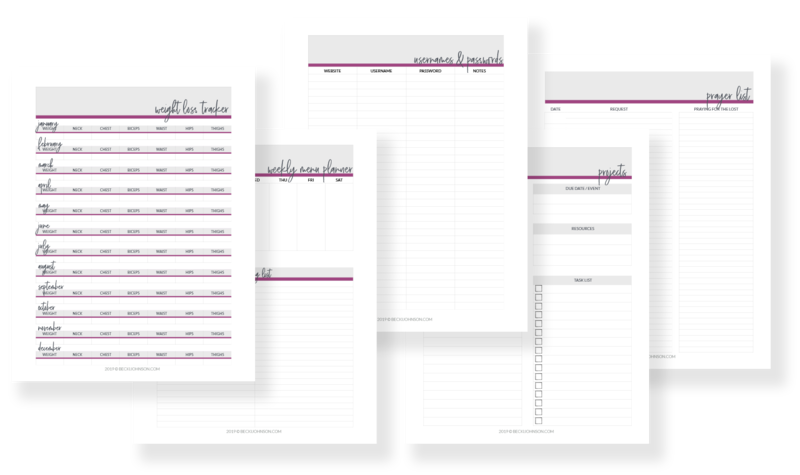 These personal growth pages will help you in the different areas of your life that you might want to track separately from your everyday planner needs. 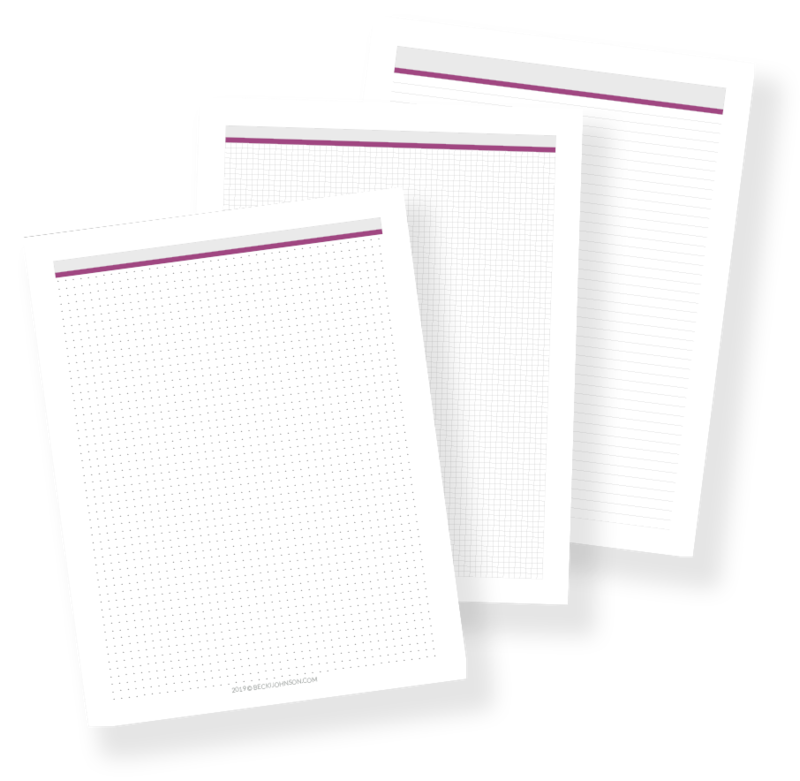 These blank pages are the perfect solution for your unique life & business needs. Print only what you need! Managing your household doesn't have to be so hard. That's why I created the MasterMom Daily Housekeeping Checklist. With this easy-to-use, weekly guide, you can quickly & easily get the JOB of motherhood done so you can experience more of the JOY! Simple format that will help you avoid Spring Cleaning by keeping up all year, just a little at a time! Have you ever wanted someone to follow you around all day and tell you just what you needed to do to make life 1000x simpler? Well, I can't do that, but I did make a tool that is the next best thing. 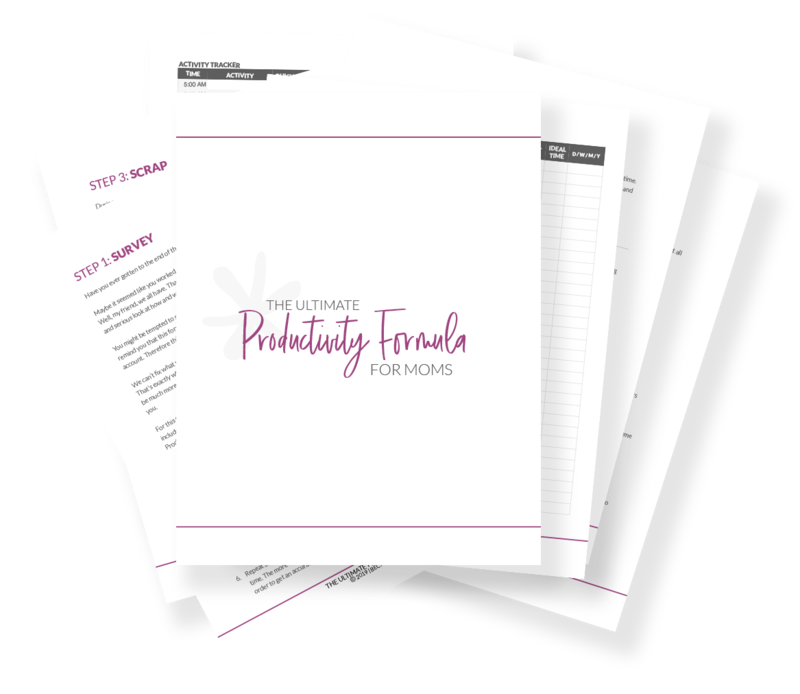 The Ultimate Productivity Formula for Moms is a completely custom tool that walks you through the detailed steps you need to take to finally get control of your time. If you have ever wanted to upgrade your marriage from a biblical perspective, this tool is for you! 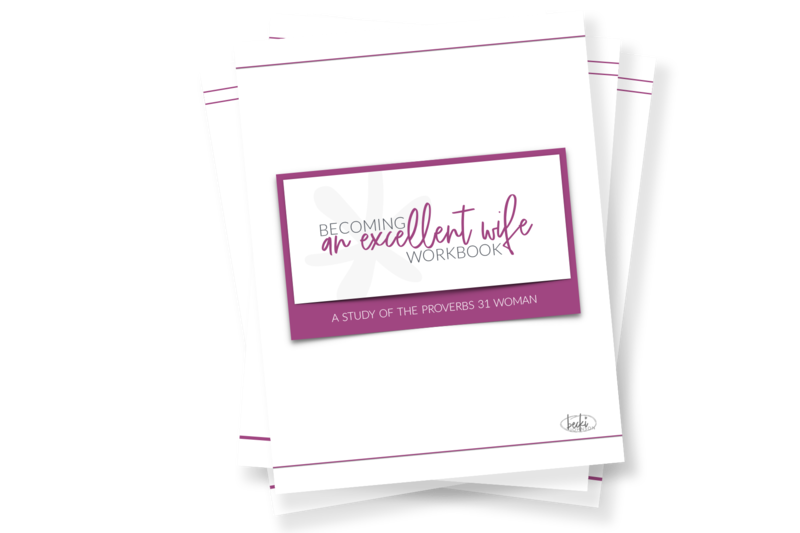 The Becoming an Excellent Wife Workbook was created to help you go through Proverbs 31:10-31 and thoughtfully apply the lessons to your own marriage. One of the key components to live a life that honors God is knowing His word. As you begin to create a more structured, organized day, incorporating the Daily Diligence Bible Reading Plan will help you to also write God's word on your heart. This plan walks you through the Old & New Testaments while incorporating a bit of Psalms & Proverbs every single day. Plus, it's a printable, so you can easily print it and tuck it into the back of your Bible for distraction-free reading. You are going to love this plan! FULL 60 DAY MONEY BACK GUARANTEE. I know if you step into this course and follow the step-by-step guide, you will transform your life. It's simply impossible not to. That's why I'm saying "Whatever!" to the industry-standard 30-day guarantee. I'm confident that in 60 days your life will be radically different than it is today if you simply follow the plan. And you've got nothin' to lose. The Ultimate MasterMom Bundle was created with you and your struggles in mind. I want you to feel equipped and encouraged as you take the steps God is calling you to right now. You weren't meant to live a life of stress and chaos. You were made to thrive and to do what God is calling you to do. you are ready for this! 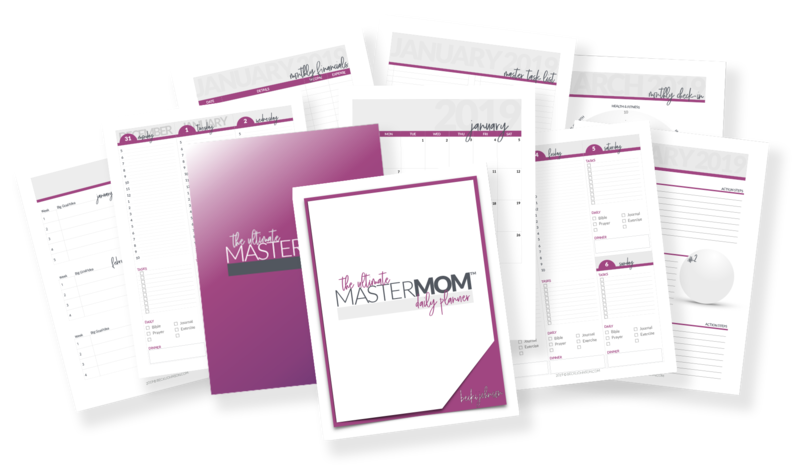 The Ultimate MasterMom Bundle is just what you need to take the next step toward peace & productivity.